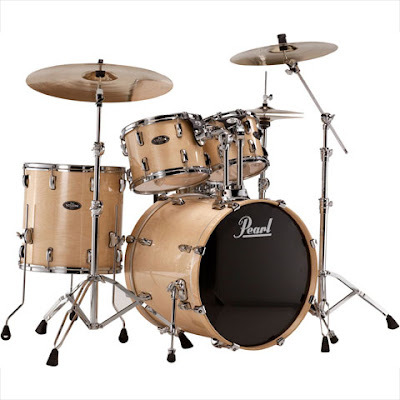 Birch shells feature boosted high frequencies, slightly reduced mids, and a good low end punch, ideal for applications requiring extra focus and cut. Many Birch drumsets have found their way into the world's top recording studios because of their naturally "EQ'd" sound. The Vision Series features Pearl’s legendary SensiTone snare drums, which have been the choice of discerning drummers for years. As the name implies these drums provide extreme sensitivity combined with amazing tone and clarity due to their 5.5” steel shell, which projects intense volume with articulate response for dynamic power and cut. Pearl’s innovative SR-900 Duo-Motion strainer can be converted from a side lever action to a Gladstone-type throw-off. The precision contoured lever allows for fast and absolute on/off function. A large adjustment knob ensures fine tuning for superior snare sensitivity.